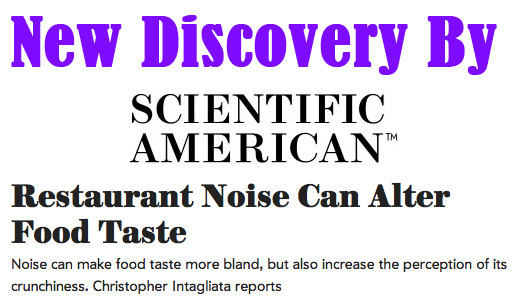 A recent article came out on how noise within a restaurant can affect the taste of the food that a customer is eating. 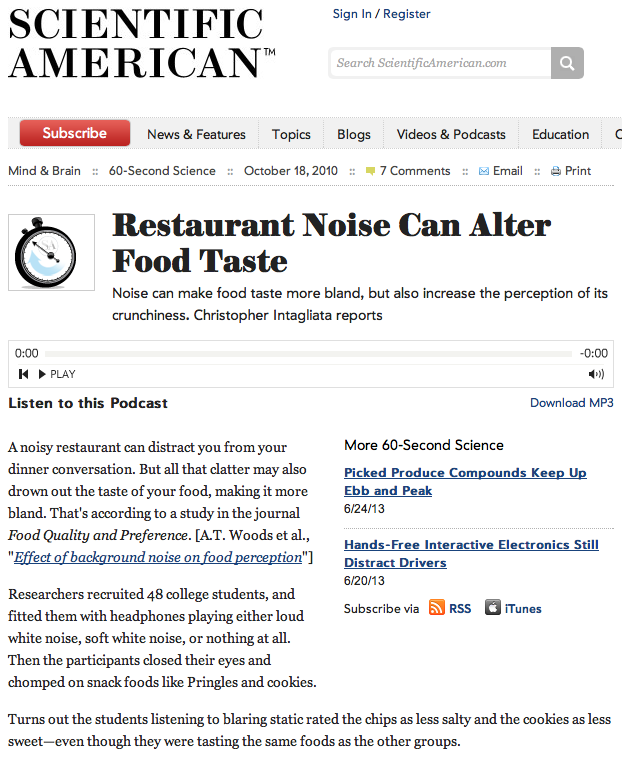 This article by Scientific American talks about how noise while you eat will effect the way it tastes. Don’t let surrounding noise within your restaurant have a negative effect on the taste of your food! Researchers did experiments and successfully saw that loud noises impacted the way the food tasted. "Previous studies have shown that sound can interfere with how the brain processes smell; the researchers say the same could be true for taste. Or, loud noise could simply divert attention from the food's flavor." Scientific American. New England Soundproofing has successfully reduced noise within restaurants and helped satisfy the customers and owners! Click below to read the article!